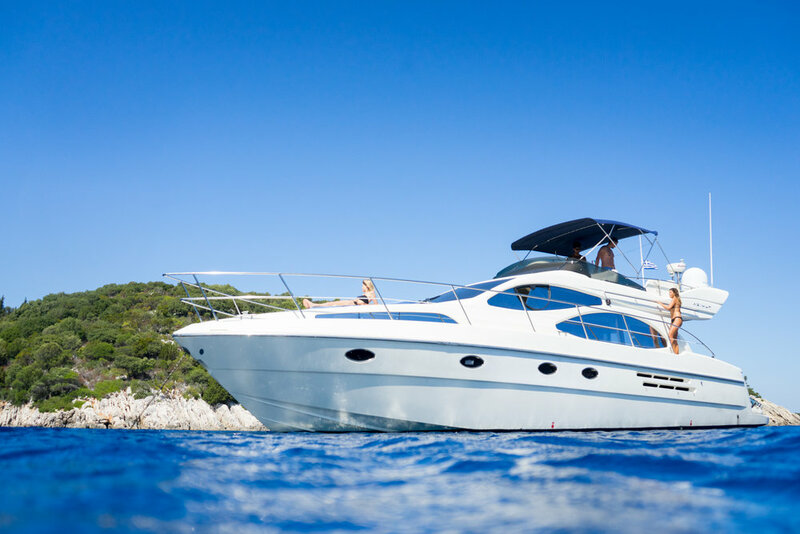 Cruise the beautiful Ionian Islands with our Rio Frio Yacht and experience the wonders of the Ionian sea in luxury and style with your own crew taking you where you want to go and catering to your every need. Our local captain will take you to the most amazing places around Lefkada, all the way to historical Corfu, wild Kefalonia, white Zakynthos and many other beautiful parts of the Ionian sea. Whatever you may need on the yacht - just ask our crew. We want you to feel at home and to enjoy your holiday without a worry in mind. Rio Frio is a luxurious Azimut 46 Flybridge motor yacht with your own professional local crew taking you on a cruise around the Ionian sea. We are based in Lefkas but we are ready to sail to whatever destination in Ionian Islands that you want to visit. Greece is one of the most beautiful countries in the world.Top Boating destination in the Heart of the Mediterranean. Rio Frio Yacht offers a unique cruising experience in style, luxury and comfort. The experienced captain and crew will take care of all your needs. Rio Frio Yacht is carefully crafted according to the highest boating standards with enough space to enjoy your every minute on board. Rio Frio Yachting is a leading Lefkas yacht charter company in the Ionian. Well-established, professional, passionate and ethical, we are experts not only in Yachting holidays , but in the Ionian islands itself. We are experienced enough to feature the finest selection of Lefkada cruises and yachting holiday packages with Azimuth yacht, the outstanding luxury boat in the Ionian islands. We believe the real luxury is the exceptional level of service that we offer, from beginning to end.